As a local property manager I had used First4 Locksmiths on several occasions and they never disappointed me with their service. Any situation – be it lock out, key duplication, master key making, security alarm installation or key extraction – they always have responded to my call promptly. I can’t stop myself from praising this particular locksmith company! We had to replace a window lock after a break in. We called 2 other locksmith services late in the afternoon but neither of them responded positively to our concerns. We finally called First4Locksmiths and they were at our home within one hour. Their technician inspected the damage and fixed that in a breeze. Highly recommended! We’ve nothing but praise for the great work done by First4 Locksmiths. I called them to repair a dead bolt lock; they showed up quickly & repaired the lock without causing any peripheral damage. The tech was very courteous, dressed professional, and priced accordingly. Thanks guys! Will use your service every time! I’m an older citizen & required immediate assistance with a key jammed in a lock. The locksmith technician from First4 Locksmiths who helped me was pretty polite; the lock was repaired quicker than it took me to tell how old it was. The technician also gave me some useful info regarding the replacement options. Thank you again for your kind attention. All I can say is First4 Locksmiths is excellent! Very reliable, honest and certainly know their business better than anybody else. They spend time working on a lock for our custom gate when all the technicians said it was not possible. Great workmanship & customer service, very dependable and reasonably priced! No hesitation to recommend them! Best locksmith service I have ever used in London. While searching for a locksmith to change my house locks I came across Firs4 Locksmiths over the internet and after reading all the positive reviews I called them. I must say their technicians are honest and knowledgeable. They replaced all our locks and fixed problems with the door that I did not even know existed. It was a pleasure to work with such a honey locksmith company. First4 Locksmiths have done a wonderful job for me with my rental properties. They were very helpful in setting up a master key system & always offer useful advice. Recently I had a situation where one of my renters didn’t feel secure & First4 Locksmiths did a wonderful job of quickly arriving and helping to make sure my renter felt secure in her apartment. I’d certainly recommend them! First4 Locksmiths provided us with excellent service! We purchased an older home recently that had many complex lock problems. 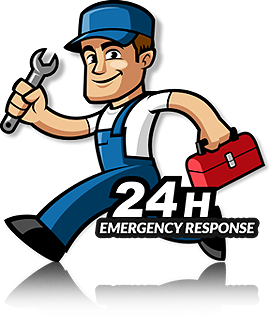 First4 Locksmiths not just responded our call instantly, but they also stuck with our problems until the whole thing was working smoothly. Their technicians are a pleasure to work with. They also made a few suggestions that were perfect for our security needs. Thanks again! Being a property manager on numerous occasions, I’ve found the service of First4 Locksmiths quite useful. Regardless of the time of day or night, they attended my need with absolute professionalism. Their punctuality and craftsmanship impressed me every time. This is the locksmith company in London that I’d like to recommend to everyone. From the time they picked up my call to showing up and leaving me with top-quality Chubb locks – each and every aspect that Fist4Locksmiths had done for me was more than excellent. Only thing I can say is that these guys are amazing and the best in the locksmith industry. I needed someone professional to get my Ingersoll lock changed quickly and called First4Locksmiths. They attended my needs as soon as possible and kept me updated on the progress throughout the process. I really appreciate the kind of service First4Locksmiths provides. Even today I can’t believe I locked myself out of my home. But I did, so I called First4Locksmiths and they got me in my property in no time. Thank you First4Locksmiths for all the things you’d done for me. First4Locksmiths is the only Yale locksmith service that we were able to get a reply from by inquiries recently. We used them for repairing my Yale locks. They came on time and got the job done quickly. We recommend them for sure. Recently we badly needed a locksmith for new lock installation in Wimbledon, SW19. One of our friends suggested we contact First4Locksmiths. We received first rate locksmith services at reasonable prices. We highly recommend them and will use for all our future locksmith needs. First4Locksmiths has professional, very efficient and prompt locksmiths. He was friendly and professional, and communicated with me throughout the process to make sure that all my concerns were addressed. Yes, I definitely recommend them to all my friends and family. First4Locksmiths locksmith team performed a miracle for me. They were skillful, helpful and did everything to help me open the door to my home. I feel proud that I’ve made the right decision choosing their Central London locksmith service. We received a nice service and quick execution from First4Locksmiths. They helped our family during an inconvenient time. We definitely recommend First4Locksmiths to family and friends for their outstanding locksmith service and quick response. First4Locksmiths locksmith service was efficient. Their locksmith arrived within 15 minutes and managed to fix the locks within half an hour. Not only they werefast to respond to our call, but alsothey managed to calm me as I was getting stressed about how to access my property. I personally thank First4Locksmiths and their team. First4Locksmiths team was excellent and got the job done within the scheduled time that was beyond my expectation. They suggested all the available options and made it clear on what was the right choice for me. I will definitely use their West London locksmith service again! We received quick response to our call out request. First4Locksmiths expertly repaired a faulty lock and provided useful advice, while working up to a high standard. We were stuck in a residential lockout situation and they came quickly to help us out. We would recommend them to anyone who needs a locksmith.